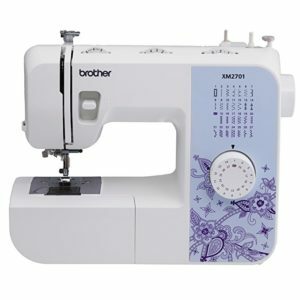 Get the best of both worlds with this combination Sewing and Embroidery machine from Brother! The LB6800PRW Project Runway Limited Edition model offers a full range of 67 sewing stitches with 98 sewing stitch functions, and allows you to add beautiful, decorative embellishments to your creations with its included 4”x4” embroidery capabilities. 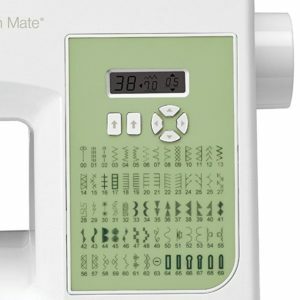 Choose from the built-in embroidery design library of 70 decorative designs, 120 frame pattern combinations and 5 lettering fonts, and, for even more options, use the built-in USB port to import designs from your PC. 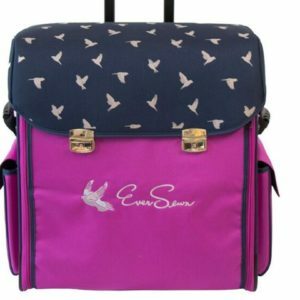 Plus, the beautiful Project Runway custom rolling bag helps protect your machine, and makes it easy to take to classes. 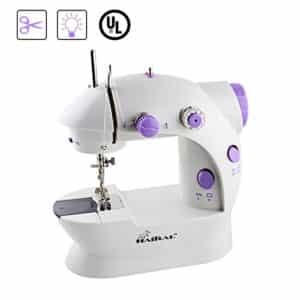 Perfect for beginners and more advanced sewers, the LB6800PRW includes built-in tutorials to view on the LCD display screen, a printed Quick Start guide, and a complete instructions manual in English and in Spanish. 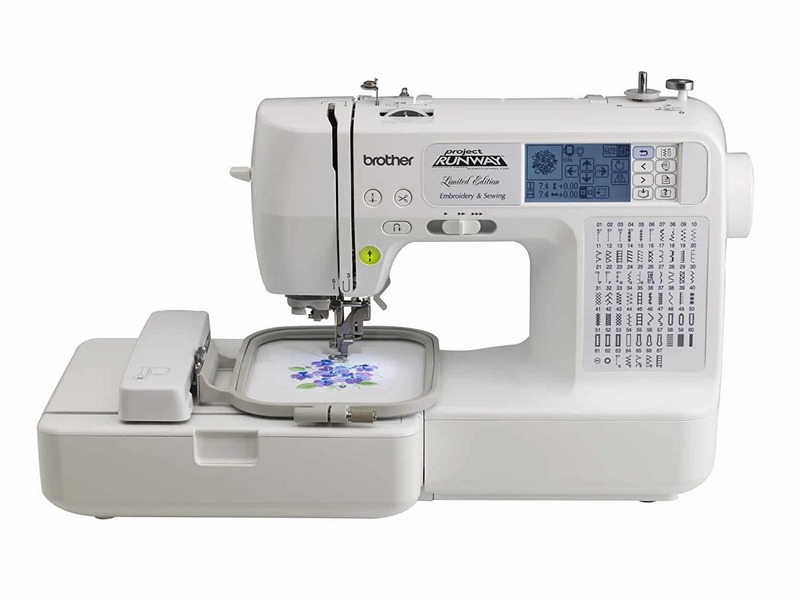 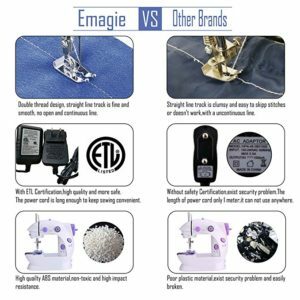 The LB6800PRW has 67 built-in sewing stitches, including utility, quilting, heirloom and decorative stitches, for virtually all your fashion and home decor projects. 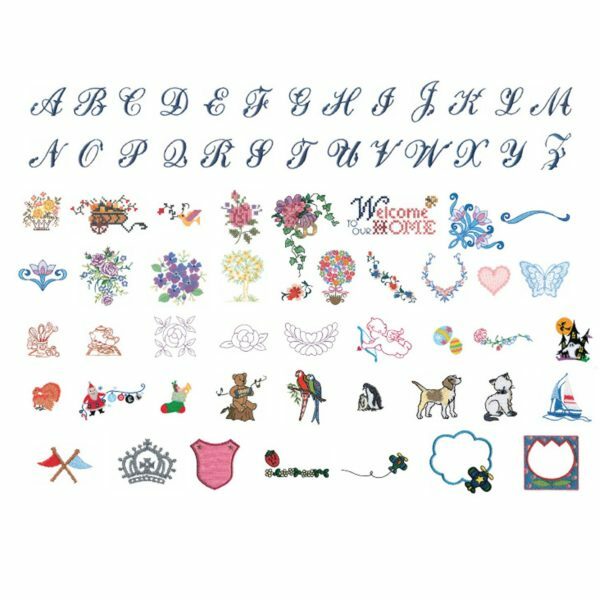 Enjoy the range of 70 built-in embroidery designs, including floral, holiday, animal and kids’ designs, as well as 120 built-in frame patterns and 5 built-in fonts. The 4”x4” embroidery area is the perfect size for adding seasonal designs to napkins or towels, personalizing shirts with lettering, or adding fun designs to your child’s clothing. 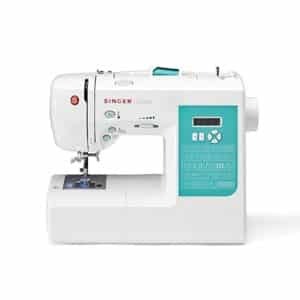 Through the easy-to-read LCD display, you can access the built-in sewing stitches, as well as all of the exciting embroidery features: embroidery designs, lettering, frames, and editing functions. 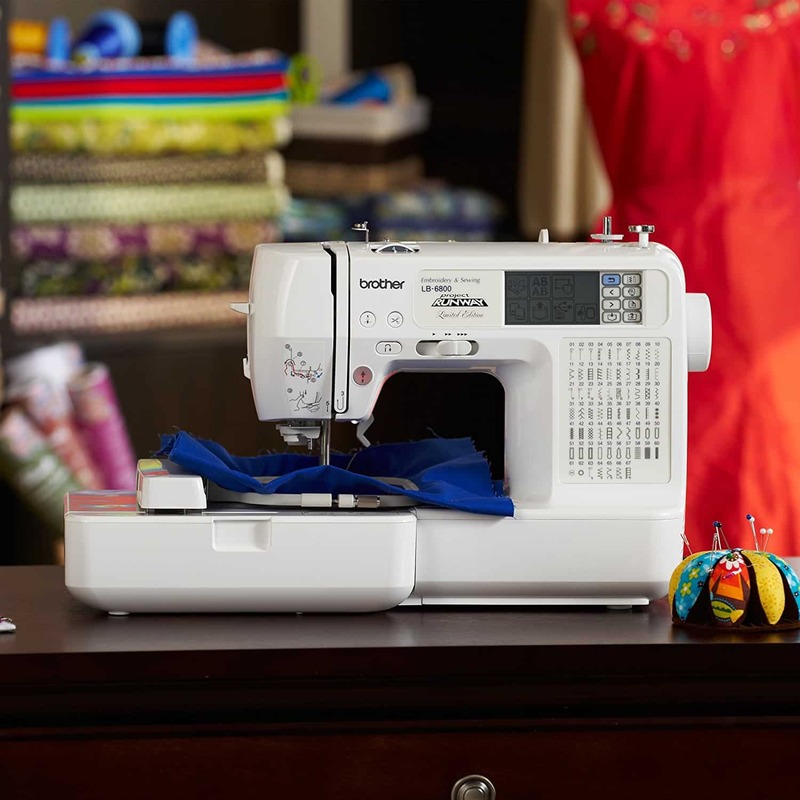 View built-in tutorials right on the LCD touch screen display. 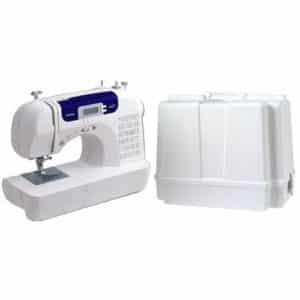 Includes topics such as how to use the included automatic bobbin winder, how to correctly position the spool of thread, and more. 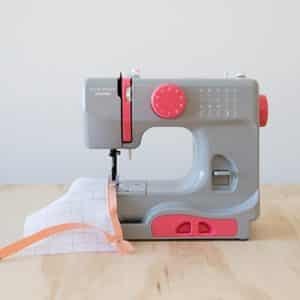 Rotate, mirror-image, enlarge and reduce the size of your designs, and see how your edited design looks, right on the LCD display, before stitching. 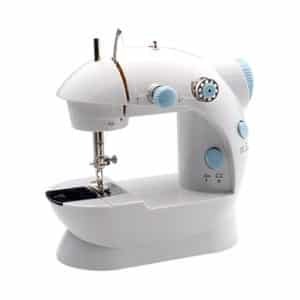 Once you have the thread in place, just move the bobbin to the right, push the Start button, and the bobbin is quickly wound for you. It’s smooth sailing with the jam resistant, Quick Set drop-in bobbin. 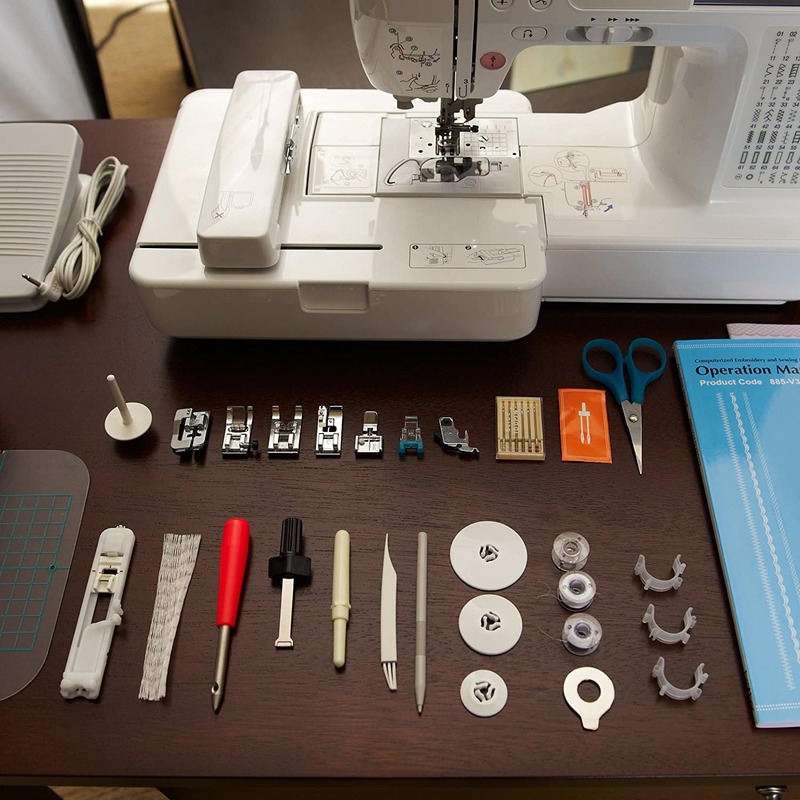 No more “fishing” for bobbin thread. 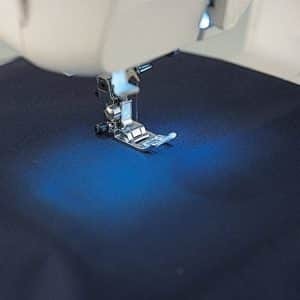 No more task lights needed, as brilliant light floods the needle area. 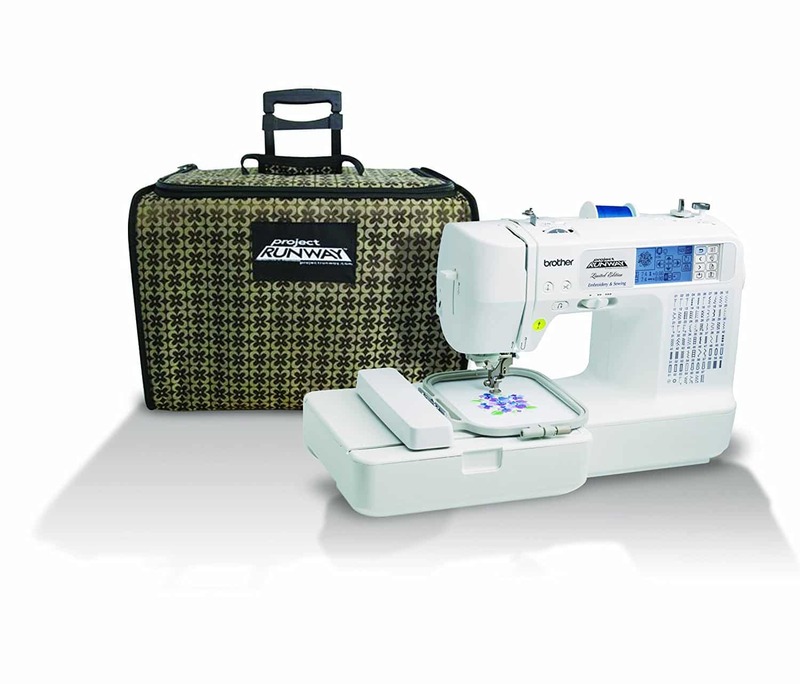 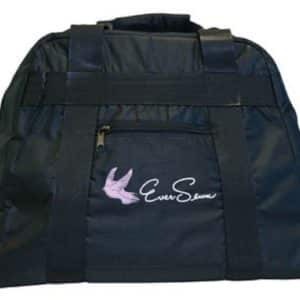 Includes a beautiful Project Runway rolling bag to help protect your machine when you take it on the go. 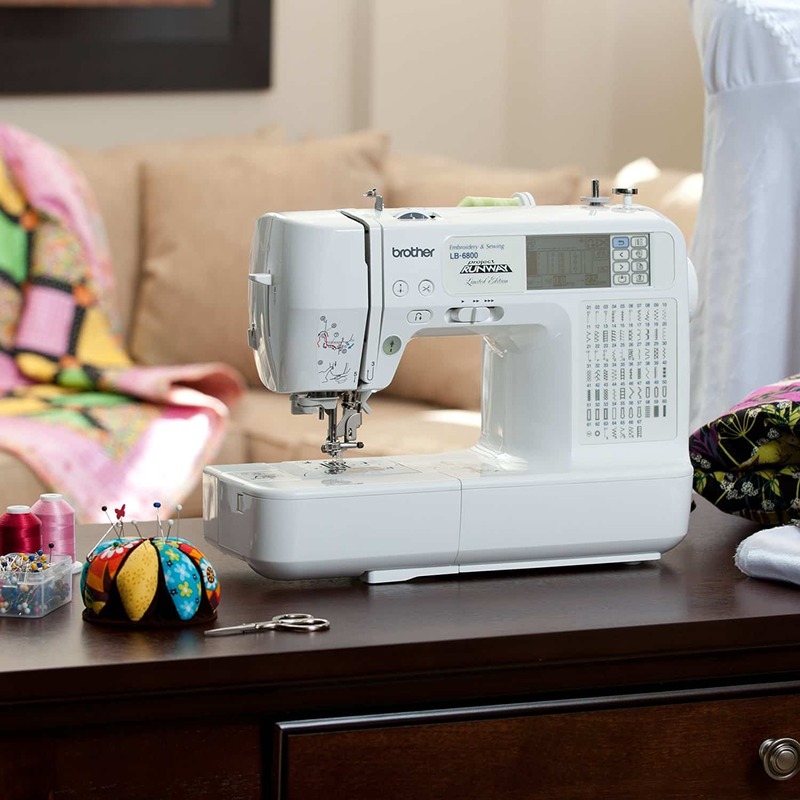 Enjoy the range of 70 built-in designs, including floral and appliqué designs, as well as 120 built-in frame patterns and 5 built-in font styles. 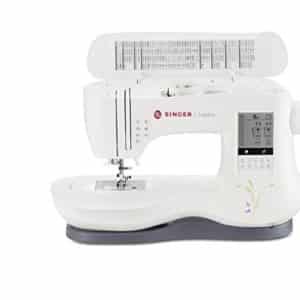 Through the intuitive LCD touch screen display, you can access and edit the machine’s built-in designs, allowing you to tailor the designs to fit your needs. 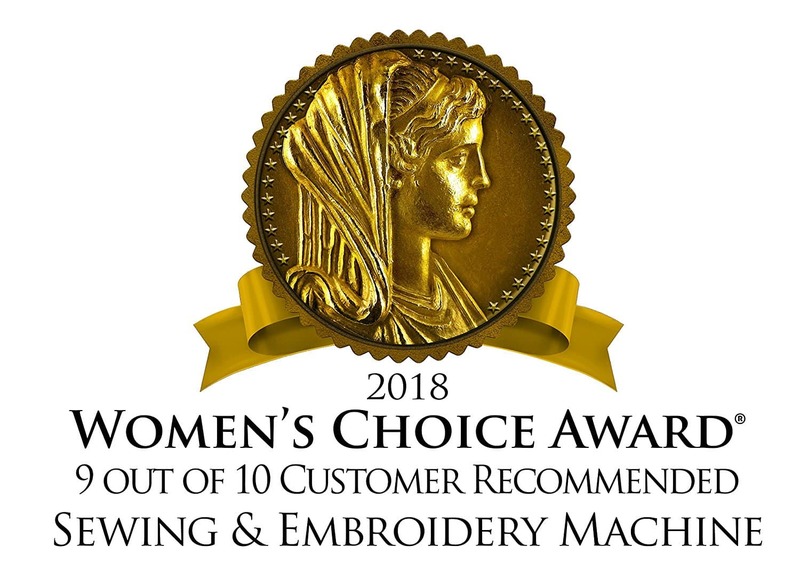 Brother embroidery customers can easily purchase thousands of fabulous exclusive, downloadable embroidery designs on www.iBroidery.com. 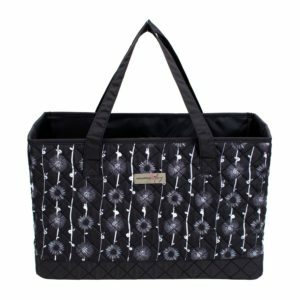 Choose from a multitude of selections, including licensed characters from Warner Bros., Nickelodeon, Disney, Disney▪Pixar, plus limited edition designs from the Brother design library. 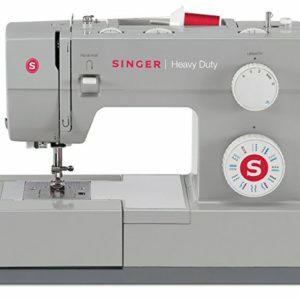 All at your fingertips at a price you’ll love. 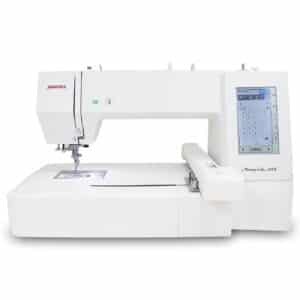 The built-in embroidery card slot enables use of optional Brother embroidery cards, available for separate purchase.